Well, the much talked about so-called congress of nameless political outfit currently masquerading as MDC-T has come and gone without a thunder in Bulawayo. As a cultured woman, I pass my congratulations to you President Khupe for finally having you long standing wish of having a president title. President, the Saturday gathering was unique in various ways. First, how many votes did you garner not to mention even for those 'elected'? Even prefects elections at some primary schools are fiercely contested than the Saturday circus. The mere fact that there were no elections, marry picking of friends posts should make you feel ashamed of your 'position'. Turning to your nameless party spokesperson, Linda Masarira, when did she join the 'MDC-T'? You saw the anger of people on Saturday at Stanley Square when her name was mentioned. Your few people are rebelling and its a key signal which you must not ignore. President Khupe, you claim to value constitutionalism, I challenge you to publish Linda's membership card. You scream of fighting for constitutionalism and flout it at the same time. Are you aware who really Linda Masarira is? 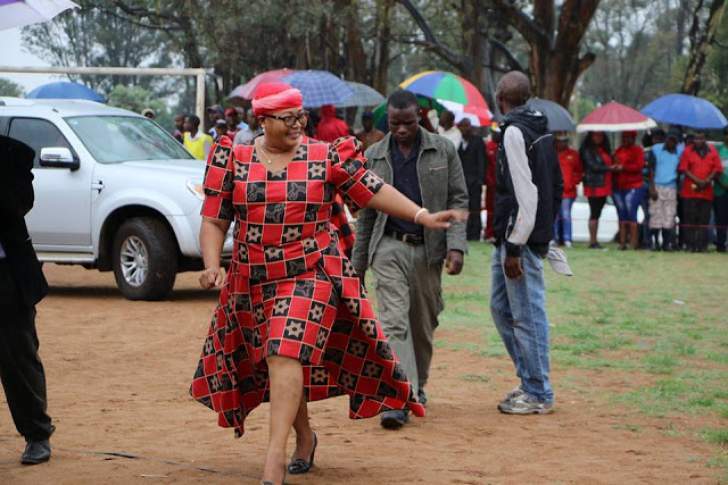 She is many things, President Khupe but I think you should be made aware of her insults on Ndebele people. You national propagandist told the world in December 2016 that Ndebele people are cowards and cry-babies". Do you think Mthwakazi people have or will forgive you for going to bed with a well-known tribalist? You will soon know the real Linda who frequently challenge men at Cape to Cairo bar to a fist fight and insult them for not satisfying her in bed. President Khupe, you made your bed, lie on it!